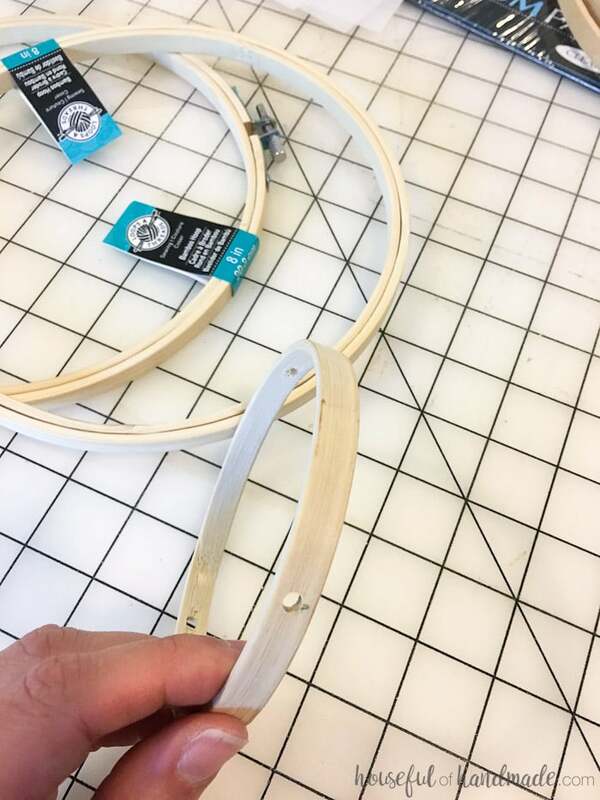 The size of your embroidery hoop will depend on your light fixture and preference. I used 2 8″ hoops for the drum shade and 1 4″ hoop to hold it to the light base. 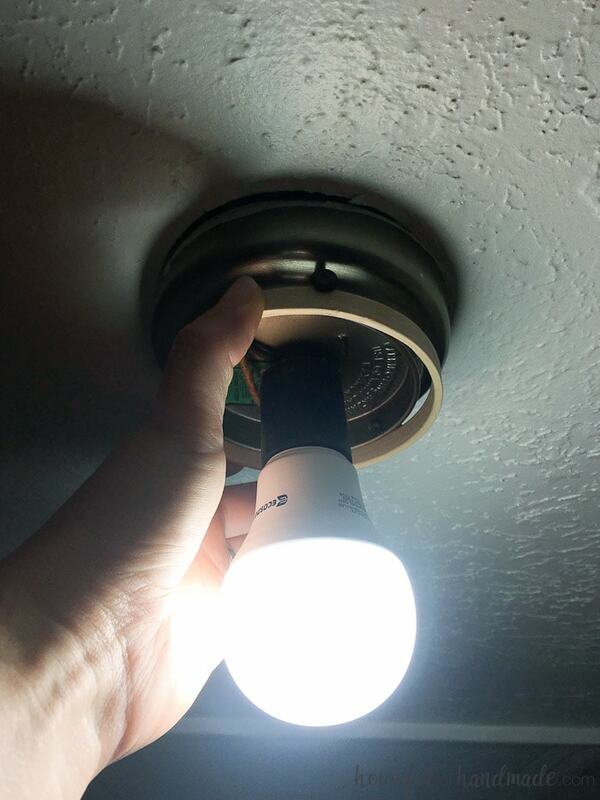 FYI: To ensure the new light fixture is not overheated, I changed my lightbulb to an LED bulb that uses just a few watts and stays cool. Also, I made sure the embroidery hoop size keeps the vellum away from the bulb with plenty of room around it. 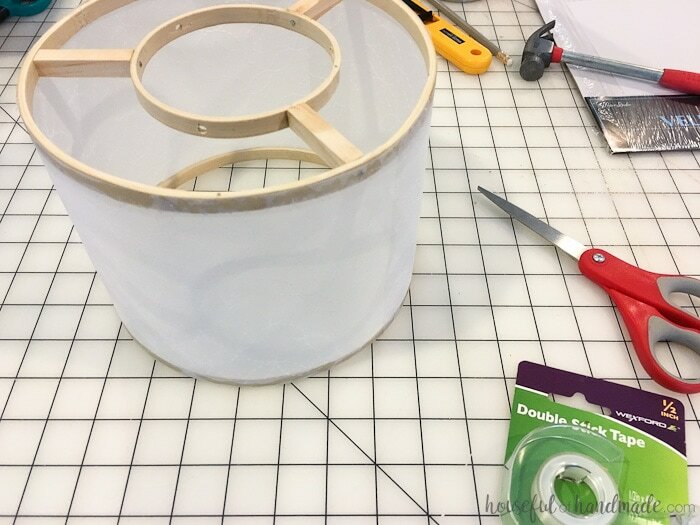 Find an embroidery hoop that is just larger than the base of the globe light fixture. Mark where the screws that hold the globe bowl are located on it. Drill holes in the embroidery hoop where the screws are. 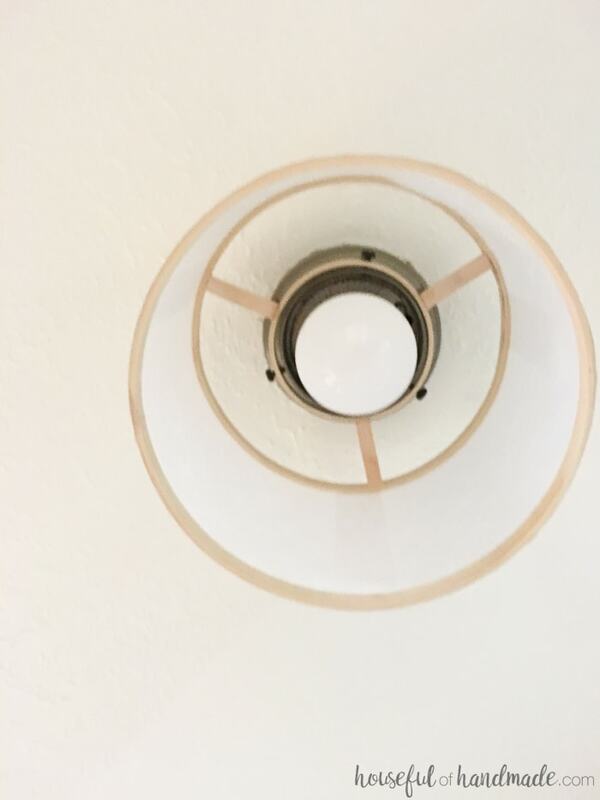 Make sure the hole is just large enough to hand screw the screw from the light fixture through it. Center the smaller hoop inside the larger hoop. 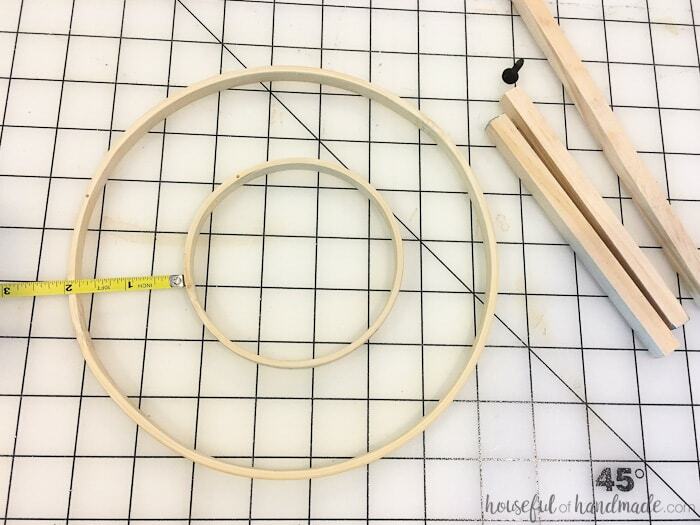 Measure the distance between the two hoops and cut 3 pieces of the square dowel to that length. Add wood glue to the end of the dowels. 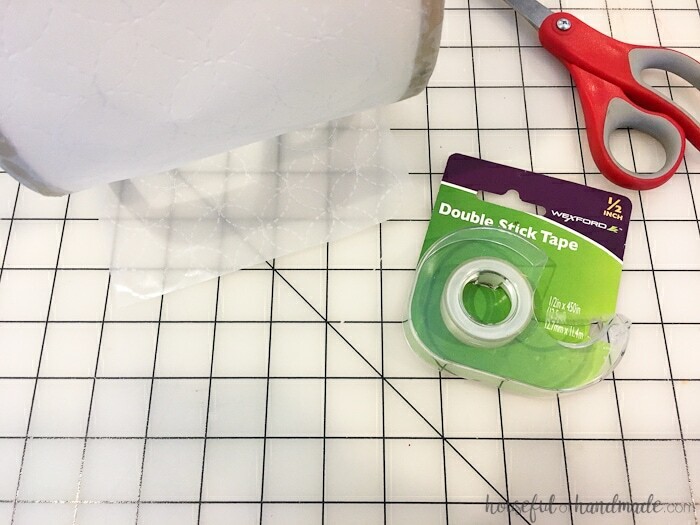 Attach them to the smaller hoop with a finishing nail so they are evenly spaced around the hoop, between the holes for the screws. 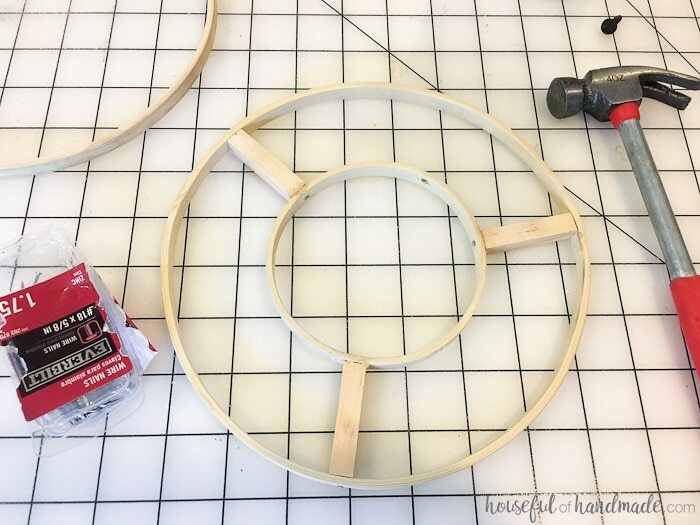 Place the smaller hoop with the attached dowels inside the larger hoop. Secure with wood glue and a finishing nail into each dowel. 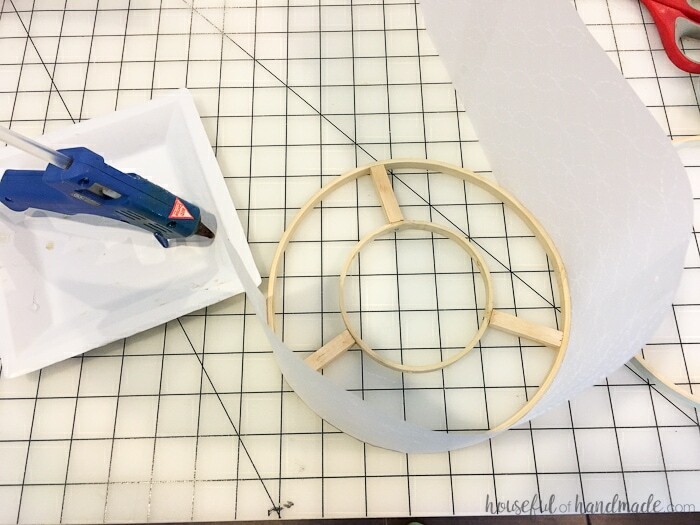 Cut the vellum to the width you want for your drum ceiling light fixture. I made ours 6″ which is about 1 1/2″ over the end of the bulb in the fixture. 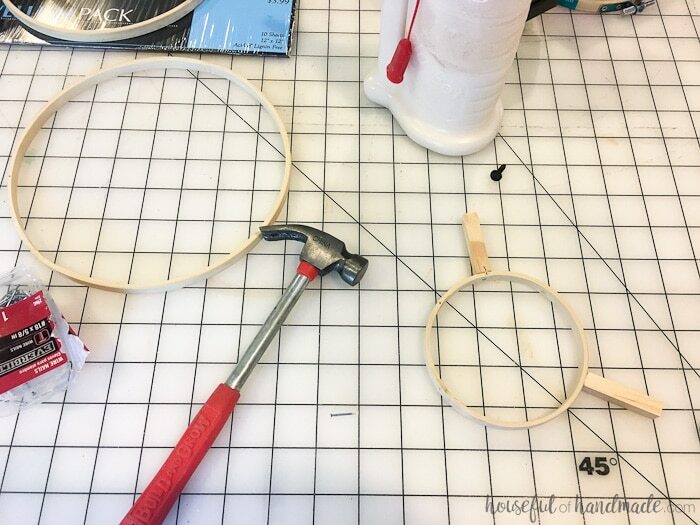 Cut enough pieces to fit around the embroidery hoop with a little extra. Place the vellum in the em-bossing fold-er so one edge is flush with the edge of the folder. 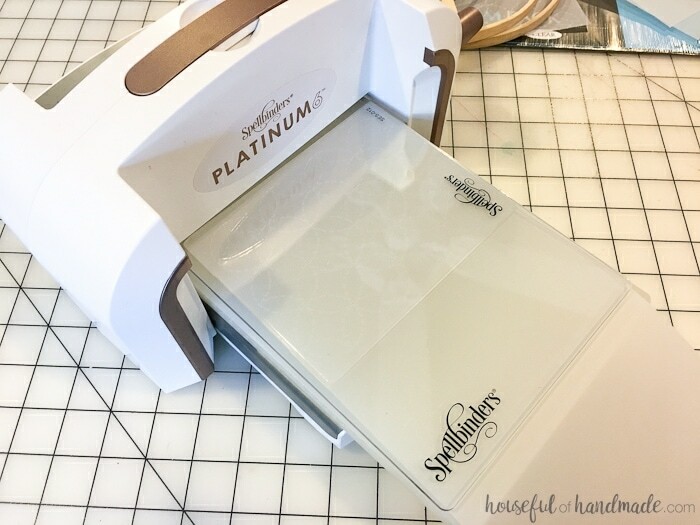 Create a cutting sandwich with the cutting platform, embossing folder, then a cutting plate. Run it through the Platinum 6 machine. 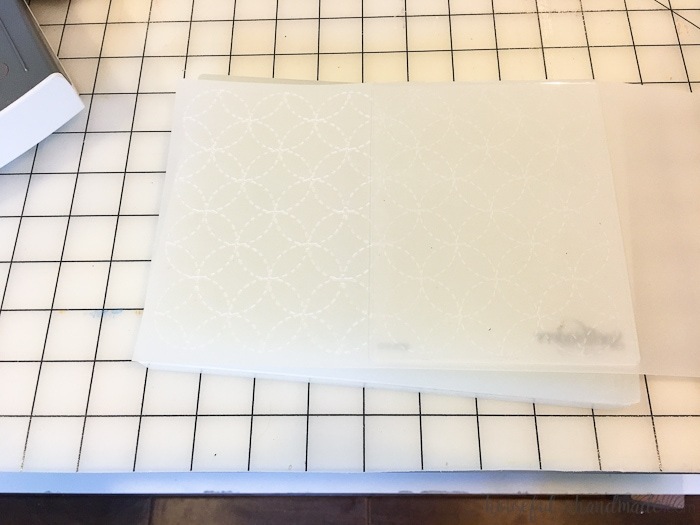 Remove the vellum, then line up the embossed edge with the design in the embossing folder to continue to add the texture. Run it through the machine again. Repeat until the entire piece of vellum is covered in texture. 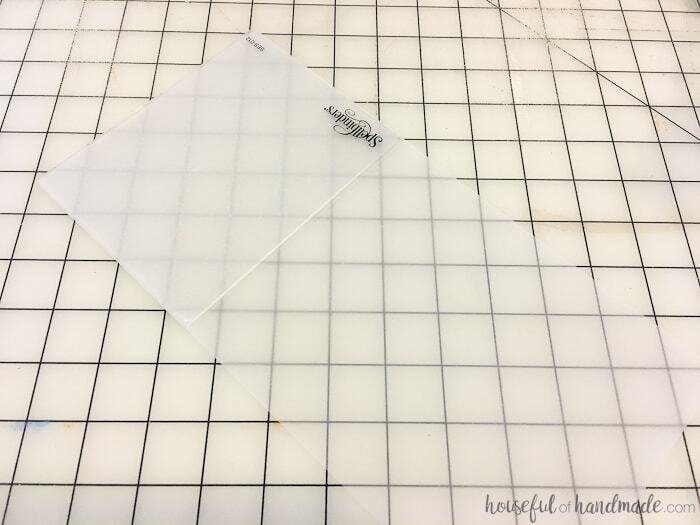 Use double-sided tape to tape the pieces of textured vellum together. Try to line up the design so it is seamless. 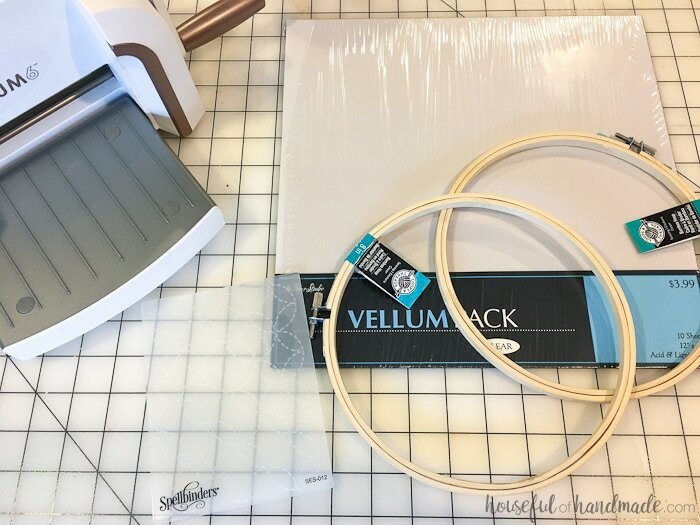 Start glueing the vellum to one of the embroidery hoops. Only glue it about 1/3 of the way around before attaching the other hoop or it will get tricky. 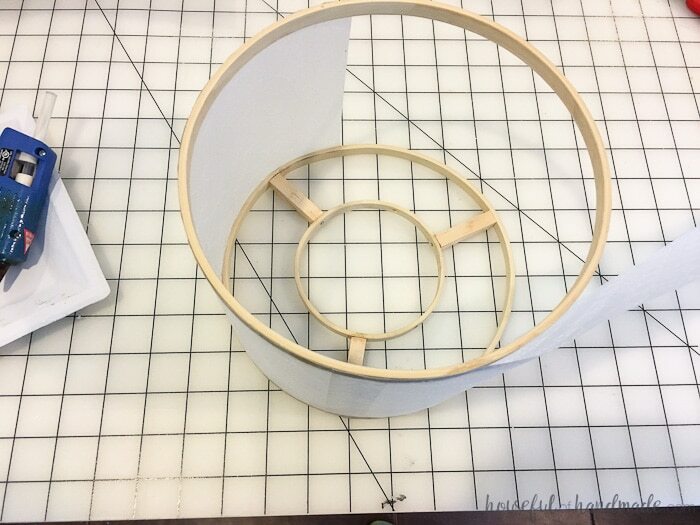 Then start glueing the other hoop to the vellum. When you have almost covered the entire circle, trim the vellum to overlap. 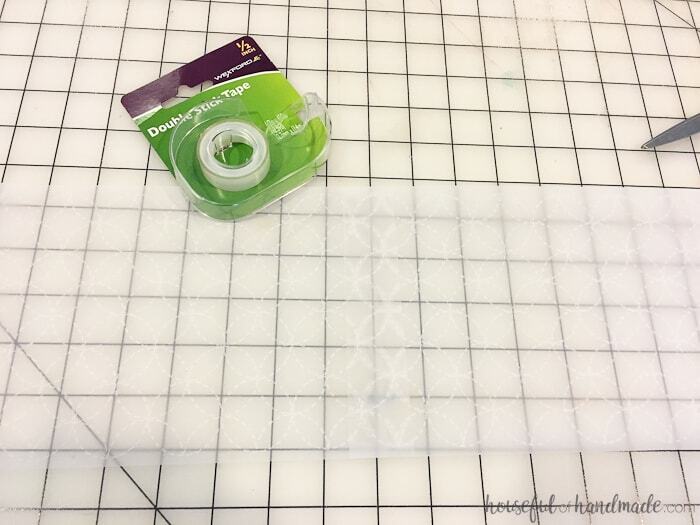 Add a piece of double sided tape to the edge to secure it to the other side of the vellum. Finish glueing it to the hoop. Press the edges of the vellum together between the hoops to secure the tape. 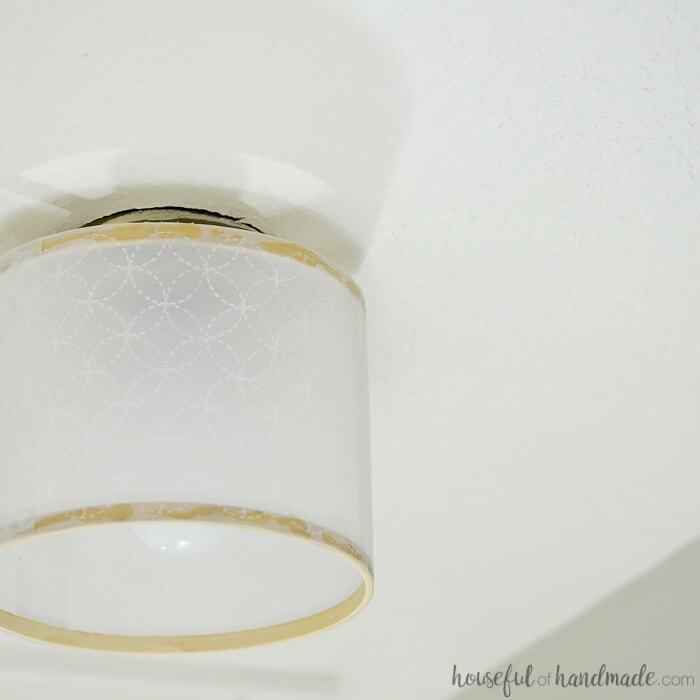 To hang your new light fixture, and tighten the screws throughout the small embroidery hoop into the light fixture. Add a light bulb and admire your handy work! 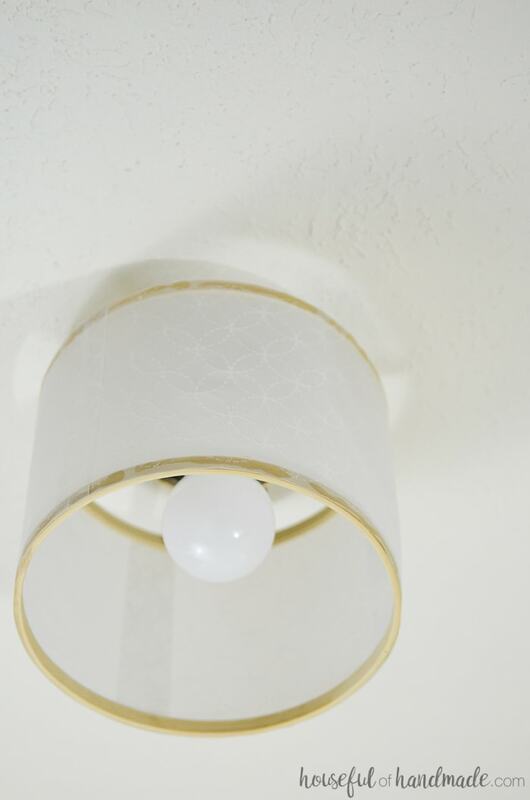 Who would have guessed it would be so easy to DIY a light fixture? 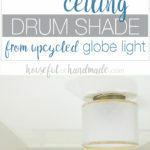 The drum shade is perfect for a hallway light fixture. And to think it use to be an old globe light. Now I am ready to turn all my old lights into something more beautiful. And don’t forget to check out the rest of these fun DIY Decor tutorials to help create the home of your dreams on a budget! Would have been to see it at night with the light on.. I have never used vellum paper. Does this seem easy to clean? How would you clean it? Thanks!! Very beautiful work! It reminds me of a thick waxed paper. I would just dust it off with a dust cloth, and since it is on the ceiling, it will be way less messy. The newly painted hallway looks so bright and nice. Amazing what a new coat of paint can accomplish. It really looks totally different with just a new coat of paint. Sad that I waited this long to get around to it!